A satisfying crunchy and luxurious butter made of 100% highest quality pistachio nuts, lightly toasted and stone milled to preserve their great taste and aroma. 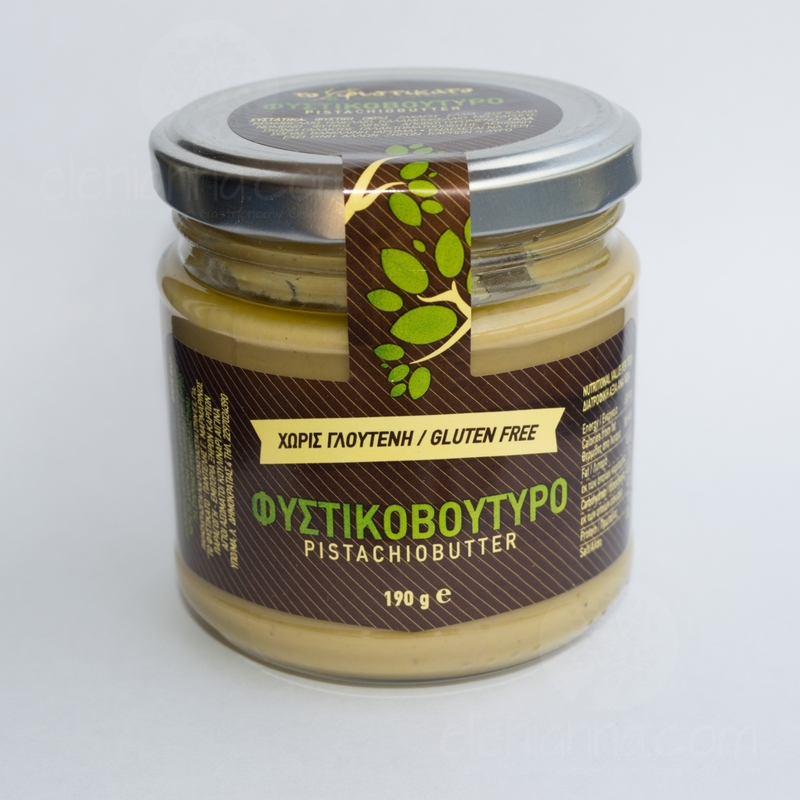 An excellent source of vitamins and minerals, this highly nutritious butter is healthy and enjoyable on its own (try it on toasted bread) or as an ingredient in other dishes. Traditionally we drink Greek tea mainly during the winter months to fight the common cold, gastrointestinal disorders and inflammations of the upper respiratory system. It has antioxidant, anti-inflammatory and relaxing properties. Traditionally brined with Greek sea salt. Genuine old-world flavor. Naturally gluten-free. Cholesterol-free. No trans-fat. A good source of fiber. No added artificial flavors, colors, or preservatives.